Last year, through his sixth artist album, ‘Evolution’’s tracklist spawned five single sales chart tracks and a 150+ date tour. 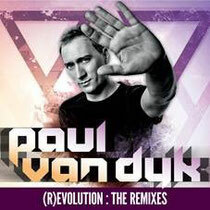 Now that ‘the originals’ have been established, Paul van Dyk is now releasing the remixes, handpicked by the man himself. Comprising 18 tracks from a full company of remixers, it’s out February 22 on Vandit Records.